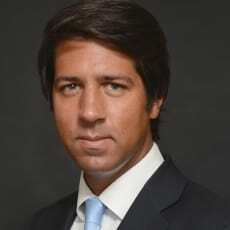 André Pestana Nascimento joined Uría Menéndez in 2003 and has been a member of the firm’s Labour Practice Area since 2005. He focuses his practice in all matters related to employment law, employment litigation, collective bargaining agreements, data protection and pensions and social security law. André has vast experience in restructuring procedures, and has been called to lead several downsizing procedures (namely collective dismissals and individual terminations), and to advise clients in relation to transactions aimed at the acquisition of undertakings or businesses (e.g., transfers as a going concern, mergers and spin-offs). He regularly advises and represents clients in disciplinary and administrative procedures and all other legal proceedings of an employment nature, as well as on all day-to-day labour-related matters. André holds a postgraduate degree in Employment and Social Security Law from the University of Lisbon and a postgraduate degree in Sports Law from the Catholic University of Lisbon.